Shalom Eliahu, one of ENGEO’s founders, is honored to receive the prestigious Lifetime Achievement Award for 2010 from the American Society of Civil Engineers (ASCE) San Francisco Section. The Annual Section Awards Dinner was held September 23, 2010, in San Francisco at the historic City Club to honor deserving Northern California projects and individuals. 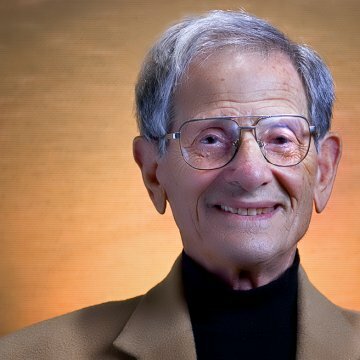 A highly esteemed engineer for over 50 years, Shalom Eliahu has an impressive list of project successes, both locally and globally, and has influenced future engineers within his company, his community, and immediate family. He is an octogenarian who created a successful career, and can be described as practically ageless. When Mr. Eliahu sets his mind to accomplish something, he does so with persistence, with a can-do spirit, and with consideration for the good of communities. The pioneering projects he has led are still safely in place and have positively impacted the communities in which they are situated. Further, his innovations have done much to ensure the quality of the civil engineering profession. Since 2000, Mr. Eliahu has been a member of the Regional Water Quality Control Board in the San Francisco Bay Region. The Board regulates all discharge in the region and sets the policy for water quality standards, and, as Board member, Mr. Eliahu is instrumental in helping to protect and enhance the quality of surface water and groundwater in the region. This past March, Mr. Eliahu was welcomed as an ASCE Fellow at the Outstanding Projects and Leaders (OPAL) Award dinner in Washington DC. Fellow designation is awarded to fewer than 5 percent of its extensive national membership.